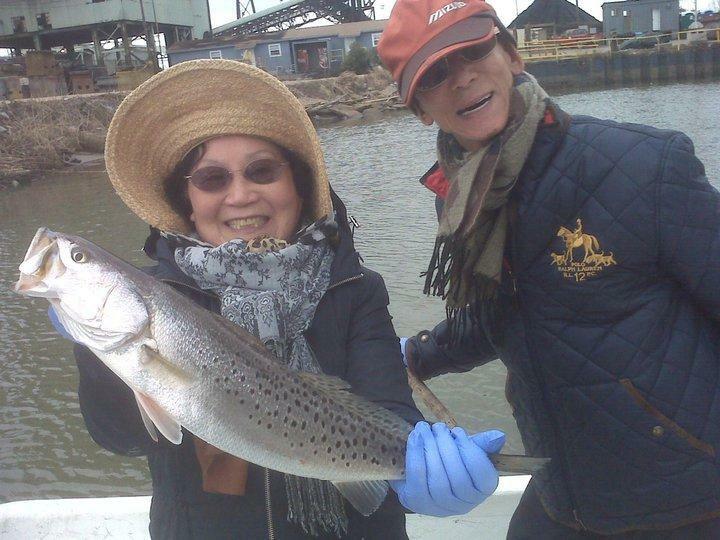 February is typically an easy time to locate Speckled Trout in the Alabama inshore waters. The cold water will have the fish huddled up in deep holes in and around creeks and rivers that feed the bays. Depending on where I may fish during this month, I will be targeting Trout in water anywhere from 12 to 35 feet in depth. By February, the Speckled Trout will be far into the rivers into areas that during summer months would be considered fresh water. When the spring rains come, some of these areas will be filled with fresh water and be home to species such as largemouth bass and bream. It's definitely cold in February, but the fish will be easy to find because of the water temperatures. On the Alabama Gulf Coast, although it can be quite cool, the warmer days of the month are some of my favorite days to fish. Sheepshead and redfish also will present some winter fishing fun. Book your february fishing charter today on our reservations page.